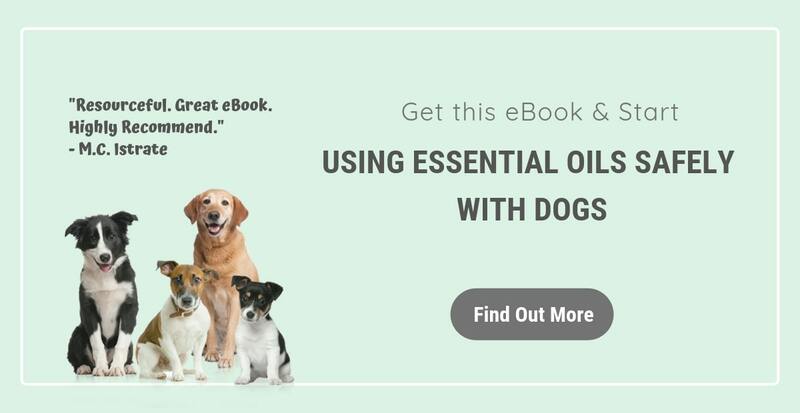 So you want to try using essential oils on your dog, but there are so many essential oils! Not sure which ones to choose from? Unsure whether Peppermint oil or Eucalyptus oil are safe for your dog? How about tea tree oil? If you feel confused, you are not alone! That's why I have compiled a list of safe essential oils for dogs here. As you can see, there are actually quite a few dog friendly essential oils to choose from (and I haven't even included all dog safe oils here). Of course, you do not have to buy all of them! 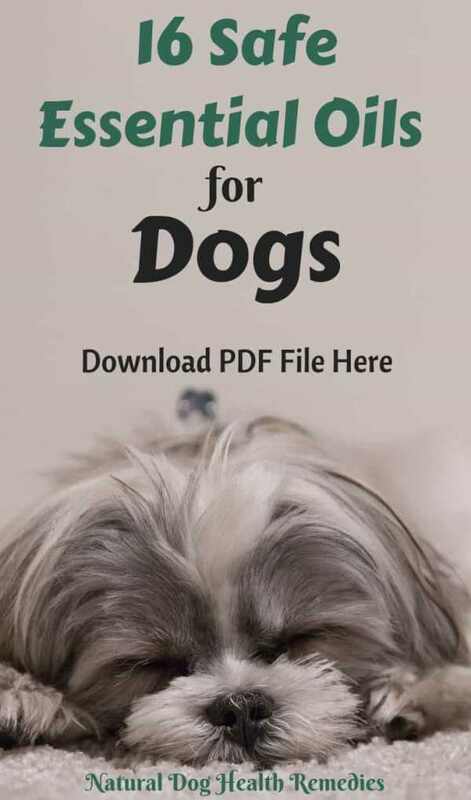 Pick and choose the ones that are suitable for your dog's needs. 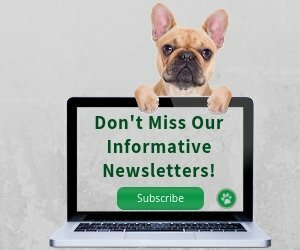 For information about different safe ways to use essential oils on dogs, and how much to dilute essential oils for dogs, access this page. Here are 16 essential oils that are generally safe and useful for dogs. Carrot seed essential oil is an oil for the skin. It has anti-inflammatory properties, with moderate antibacterial effects. This oil is good for dry, flaky, sensitive skin which is prone to infection. It can also rejuvenate and stimulate tissue regeneration, so it is a good oil to use for scar healing. Cedarwood is antiseptic, tonifying, and it can stimulate blood circulation. It is good for skin and coat conditioning and dermatitis of all types. In addition, it has flea-repelling effects so cedarwood is a good and safe oil to add to any flea-repellent blend for dogs. German Chamomile essential oil is anti-inflammatory. It is gentle and safe to use on dogs. This oil is very effective in controlling skin irritations caused by allergies, eczema, rashes, etc. It is a good oil for healing burns as well. Roman Chamomile has different properties than German Chamomile. R. Chamomile is antispasmodic, pain relieving, and nerve-calming. It is very gentle and is an excellent oil to use for soothing and calming anxious dogs. It is also effective for relief of muscle pains, cramps, puppy teething pain. This oil is a "must-have" oil for dogs! Clary Sage also has calming effects - it can sedate the central nervous system. It can be used to calm dogs with anxiety, but should only be used in small amounts and properly diluted. Eucalyptus essential oil is antiviral and anti-inflammatory. It is also an expectorant, so it is an excellent oil for use to relieve chest congestion. 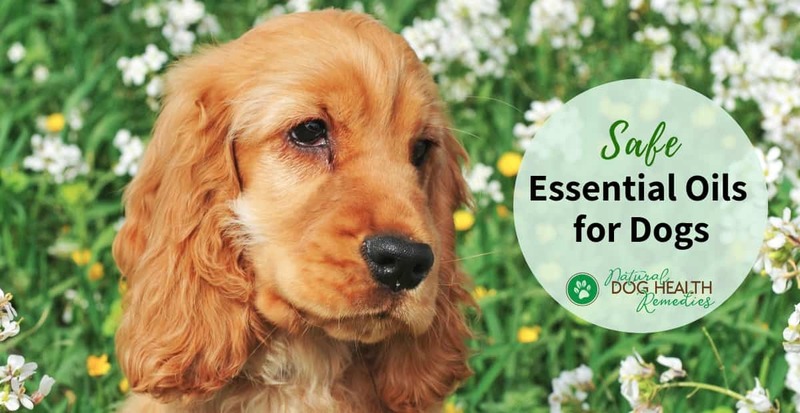 If your dog is suffering from an upper respiratory disease, such as a bout of kennel cough, and is coughing and having trouble breathing smoothly, this oil may help. There are various types of Eucalyptus oils. Two common ones are Eucalyptus globulus and Eucalyptus radiata. E. globulus has a stronger and harsher scent. Since dogs have a much more sensitve sense of smell, many may find E. globulus overwhelming! On the other hand, E. radiata has a milder scent (and milder chemically-speaking as well), and I recommend using this oil with dogs. Diluted properly, Eucalyptus radiata essential oil is safe for dogs (with the exception of small dogs and puppies), both topically and for inhalation. Be sure NOT to let your dog ingest this oil though. Geranium essential oil is safe and gentle for dogs. It is a strong antifungal oil and is good for skin irritations (especially caused by yeast infections), as well as fungal ear infections in dogs. In addition, Geranium oil is effective in repelling ticks, and is a must-have oil if you want to make your own tick-repelling oil blend for your dog. Properly diluted, Ginger essential oil is non-irritating and safe to use on dogs in small amounts. It is an excellent oil for dogs with motion sickness, because it is anti-nausea. Ginger oil can also help with digestion and tummy upset. In addition, this oil has pain relieving properties. Used topically, it can help relieve pain in dogs with arthritis, dysplasia, strains and sprains. Helichrysum essential oil is expensive but has a lot of great therapeutic properties. It is anti-inflammatory, pain relieving, and has regenerative effects. It is a good oil to have if your dog has skin issues, such as skin irritations, eczema, pyoderma, etc. In addition, due to its regenerative properties, it is an excellent oil to use to heal wounds, such as bruises, scars, cuts, etc. Don't confused true Lavender oil (Lavandula angustifolia) with Spike Lavender essential oil (Lavandula latifolia). While true Lavender oil is very safe and gentle and can be used with most dogs, Spike Lavender oil should NOT be used with pregnant dogs. True Lavender oil has antibacterial, anti-itch, and nerve-calming properties. It is good for many common dog ailments and problems, e.g. skin irritations, anxiety, insect bites, cuts and burns, etc. It can also be used to help calm down dogs who are stressed, nervous, or agitated. A study found that Lavender could calm excited dogs while traveling in car. Get more detailed information on the uses and benefits of lavender oil for dogs here. Sweet Marjoram essential oil has strong antibacterial properties. It is also calming and a muscle relaxant. Use this oil for bacterial skin infections and wound care. You can also add this oil to an insect-repelling blend as Sweet Marjoram oil has insect repelling properties as well. If you (and your dog) don't mind the scent of this oil, Niaouli is a must-have oil. It has powerful antibacterial properties (comparable to those in Tea Tree oil), yet Niaouli oil is less likely to cause irritation than Tea Tree. Use this oil to help dogs with skin irritation and infections caused by allergies. Also, it is an effective antiseptic oil that can disinfect and help fight bacterial infections. Peppermint essential oil stimulates blood circulation and is antispamodic, so it is a great oil for dogs with acute pain. Use this oil to soothe pain caused by swelling, sprains and strains. Peppermint oil is also anti-nausea and works well with ginger to help dogs with motion sickness. But many people ask if Peppermint essential oil is safe for dogs. It is generally safe if properly diluted and used topically, or for diffusion in low dilution. However, avoid using Peppermint oil with small dogs and pregnant dogs. For more information (such as uses and safety precautions) on this oil, please visit this page. Sweet Orange essential oil has calming and uplifting effects. 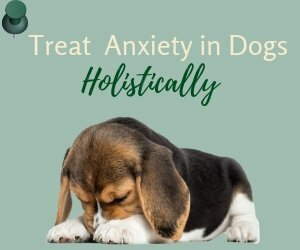 It is good for dogs with anxiety, and/or depression. It can also stimulate a dog's appetite. If your dog is not eating (maybe due to stress or depression), diffusing this oil before mealtime may help. Since this oil has deodorizing and flea-repelling properties, it can be added to your homemade doggie shampoo. There are many different chemotypes of Thyme essential oil. The only chemotype that is mild and safe enough for dogs to use is Thyme ct. Linalool. This Thyme oil has pain relieving properties, and can be added to a blend to help dogs with arthritis, rheumatism, or other joint pain. Additionally, Thyme oil has powerful antibacterial, antifungal, and antiviral properties. It is an excellent choice for infections and other skin issues. This is a "must-have" oil for your dog! Valerian essential oil has sedative and nerve-calming effects, and is good for helping dogs with anxiety such as separation and noise anxiety. 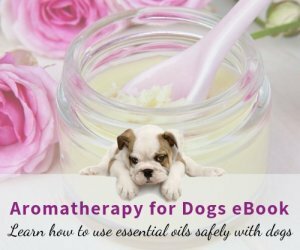 If you are new to aromatherapy, you may not know where and how to find 100% pure essential oils for dogs. There are indeed a lot of places where we can buy essential oils, and you may even notice quite a big difference in price for the same oil at different stores. * The words "100% pure essential oil". Essential oils are generally expensive, so don't go for unreasonably cheap oils since cheap oils are likely to be adulterated. If a store is selling all essential oils at the same price, then you have to question the quality and purity of their oils. Some oils (e.g. rose oil) are difficult to extract and naturally they are (and should be) much more expensive than oils that can be extracted more easily. Avoid buying essential oils at supermarkets or health food stores (they may be cheaper but usually of a lower quality). Is it safe to diffuse essential oil around dogs? Visit our page on Diffusing Oils Around Dogs to find out.